Great article from my friend Kevin Wilson. I would agree with these points. Would you add anything? What are your experiences and observations? With north of 80 percent of churches plateaued or declining, it’s no surprise I’m consistently asked what I see in “turnaround churches.” I’m curious as to whether readers are surprised by any of the five marks I see in turnaround churches. The pastor supports the turnaround effort. I’ve watched pastors both succeed and fail at initiating congregational turnaround arounds. What I’ve never seen is a church turnaround when the pastor didn’t support the effort. Pastors understand there is a price to pay in participating in a turnaround. They must publicly and privately support congregational changes. Sometimes they must personally invest in ministries that do not fit their strengths. Pastoral leadership in a turnaround is not easy, but is necessary. The congregation launches new ministries in the local community. Now it’s probably not productive to try and “rate” Bible books against each other. But the idea is that Philippians has verses throughout it that impact our hearts and have a sort of staying power in our personal lives. But it does also have theological impact as well. Chapter 2 of Philippians, for example, challenges us to understand the depths which Christ went to in order to empty Himself for our sakes. This is a big part of the foundation of our faith. We believe that Christ “humbled himself by becoming obedient to death— even death on a cross!” (Philippians 2:8) That has such theological impact as to make a difference for time and eternity! But whether speaking more in the abstract, or in concrete life lessons, Philippians bears a constant message of joy. And we all need that, right? Our world is so good at robbing our joy – especially when you read the news. There are so many things that can challenge our joy; but Philippians is a countermeasure to that. The Apostle Paul, who wrote the book of Philippians, was a man filled with joy and thankfulness. And if anyone had good reason to NOT be joyful, it was Paul … in fact, he wrote the book of Philippians while he was imprisoned! And yet, by the power and indwelling of the Holy Spirit, Paul experienced great joy – even in the midst of his circumstances. And He wants the same for you and me – to experience joy in whatever situation we find ourselves. 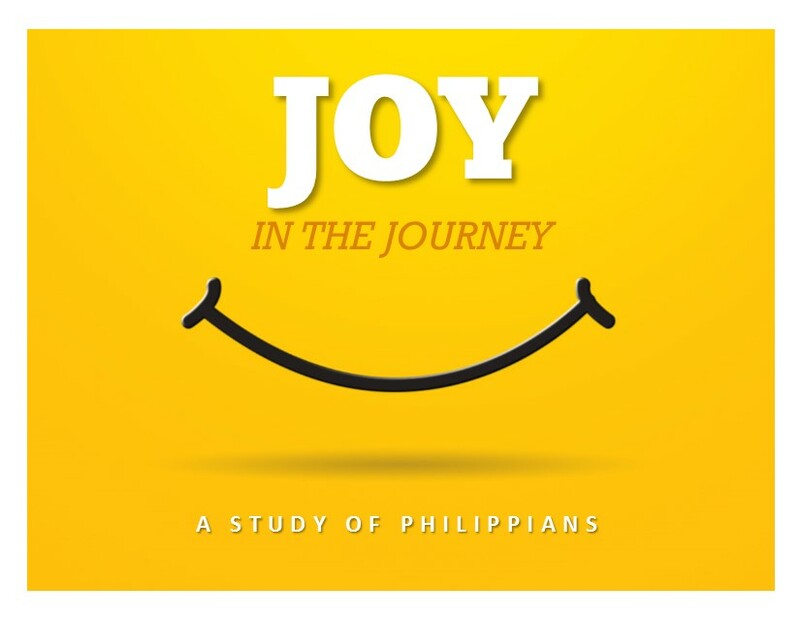 In Paul’s message to the church at Philippi, he uses the word “rejoice” or “joy” 15 times! He does this as he writes to a city that has so much wealth from the gold mines nearby. Further, as a Roman colony, Philippi had all the pride and culture of being affiliated with Rome. And yet, Paul needed to remind the people of that great city where true joy is found. How about with you? Do you find that you can be surrounded by all kinds of riches, culture, entertainment, and achievements … and still lack joy? Well, you’re not alone. That’s why we’re going to take 9 weeks this summer to learn the good news about the source of joy. We’ll discover that it’s not found in a place, a possession, or some power. But rather, joy comes from a person – the Lord Jesus Christ! He is the one who supplies all that we need. He is the one who fills us with joy regardless of our circumstances, relationships, status in life or our wealth.